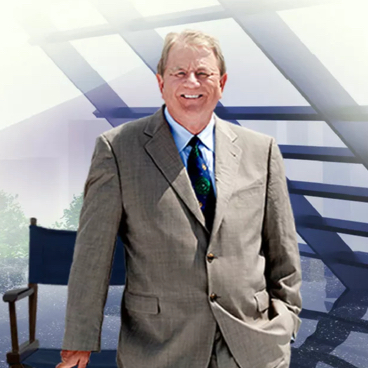 With over thirty years experience in the film industry, both with my own independent film company and with a major studio (20th Century Fox), my expertise and experience in the film business is long and far reaching. I have been involved in all areas of the independent film business including film financing, development, production, film packaging, domestic and international distribution, marketing, sales, acquisitions and much more. 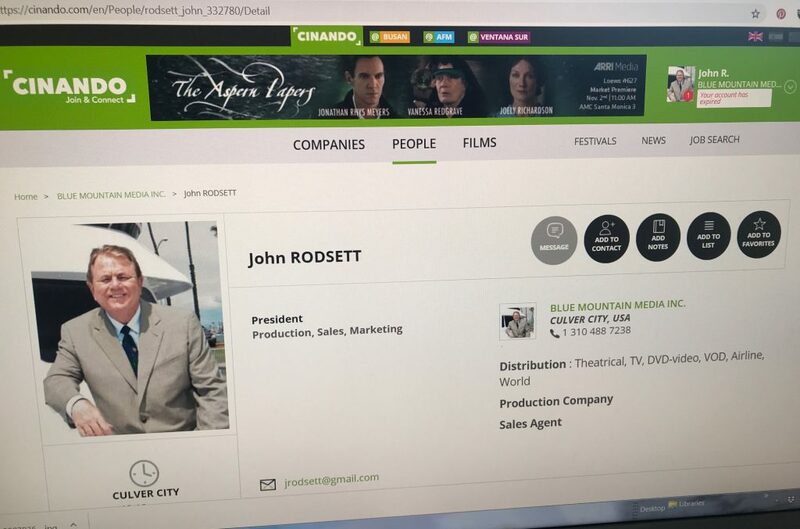 I have worked on over 200+ independent feature films sold globally and executive produced many independent films plus I have executive produced and distributed a number of acclaimed documentary productions. My independent film company, based in Los Angeles, was formed at an opportune time — the start of video boom that went around the world from the mid 1980’s through to the mid/late 1990’s. For over a decade, I was executive producing, financing, film packaging and distributing many low budget independent films all around the world — an exciting and rewarding experience! I was also employed by 20th Century Fox at the studios in Los Angeles and I participated in the release of the feature films “Alien” and “9 to 5”. And also was actively involved in the TV series “MASH”. Soon after Fox, I was a VP at the Olympic Games in Los Angeles. It was an amazing experience to participate in a global sports media event and have it be such a success. Although film is my passion, I have worked with a variety of other notable organizations such as Panasonic, Marvel, Disney and even contributed to an event for Pope John Paul II. Furthermore, I have decided to give back, by teaching and using my years of entertainment industry experience to help direct the next generation of aspiring minds. For the last few years I have been teaching entertainment marketing and business at the University of Miami and the University of Washington, as a full time/part time adjunct professor. My desire is to benefit filmmakers, producers and film people’s careers by providing them tools,strategies and my many years of independent film experience as well as my years as an educator. 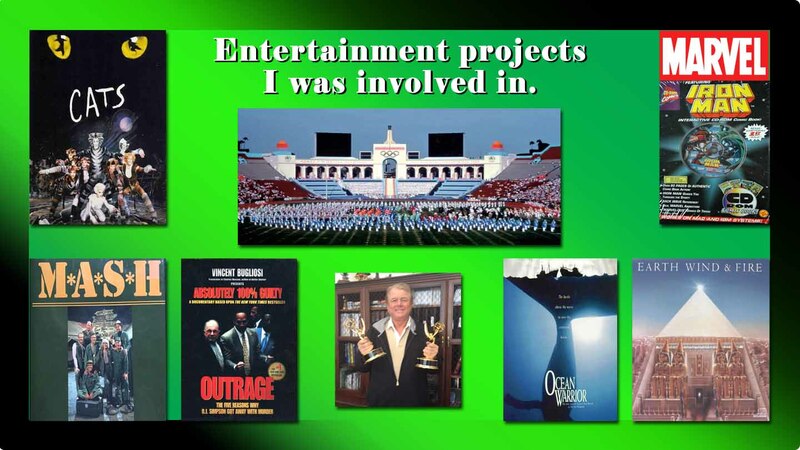 A film & entertainment executive for over 30 years. Extensive production involvement with numerous TV series including MASH. Owned independent film and sales agency firm from 1987 until present. Executive produced 20+ independent feature films. 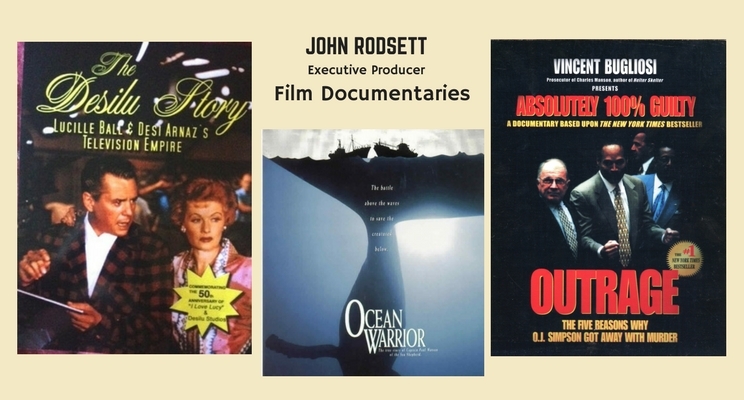 Executive produced and distributed worldwide documentaries on O.J.Simpson; Lucille Ball; and Paul Watson, Green Peace founder. Extensive global film and media experience including packaging and financing numerous film and media projects around the world. Significant marketing relationships with the major film trade papers around the world — Variety, Hollywood Reporter, Screen International and The Business of Film. Professional training with a global finance and accounting firm in London. Olympic Games, Vice President, Los Angeles. University adjunct professor at the University of Washington and at the University of Miami. International Distributor for Marvel CD games including Spiderman, X-Men and Iron Man. Consulted, in London, for such music entities as Duran Duran and Sade. Involved in film productions all over the world including England, Germany, Thailand, Brazil, Yugoslavia, Italy, Chile, USA, Japan and Canada. Extensive knowledge of film financing of independent films both in the US and globally. Produced marketing strategy in the USA & Mexico, for a commemorative video and medallion gift set, for Pope John Paul II. Written five books on film business including best seller, “The Film Biz Bible” on the independent film business. Presenter of the “Two Day Film Biz” seminar — an in depth seminar on the independent film business. Don’t bother counting, I know it’s not 20 things! !